Exhibitors, food vendors, musicians, volunteers or sponsors – we need you on the team! Email or call us today! The goal of RiverFest is to create a recreational opportunity along the Neponset that produces new experiences and generates stewardship for the River. 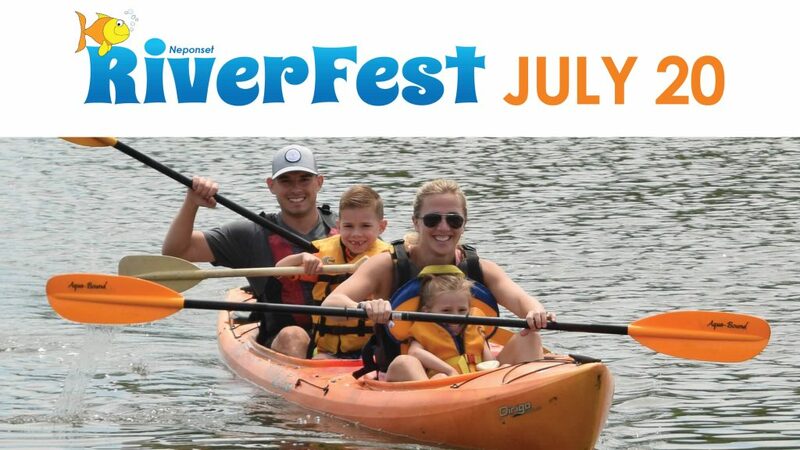 Please consider supporting this fantastic local event—and the Neponset River. 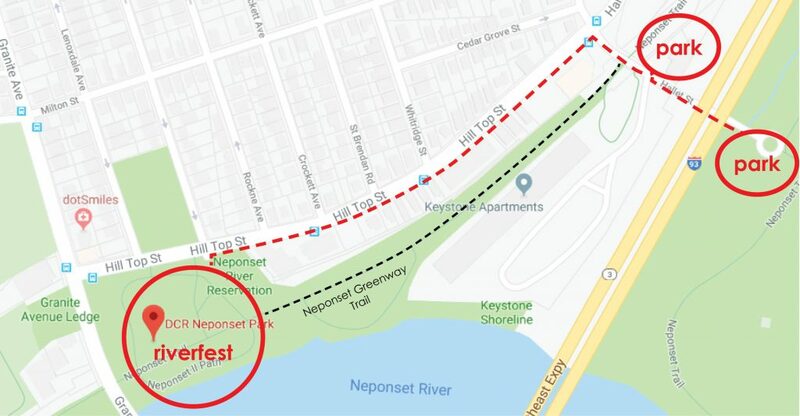 DCR Neponset Park is at 180 Granite Ave. and the entrance to the park is on Hill Top St. Parking at Neponset Park is very limited. Free parking is available just a 1 minute drive up the street at McKeon Post or DCR Pope John Paul Park. To get to these lots, drive up Hill Top St. and take a right onto Hallet Street. Any bus or train that will get you to Mattapan or Ashmont is good, and you can transfer from there. From Boston: Take the Red Line (outbound) to Ashmont, then transfer to the Mattapan Line and take that one stop to Cedar Grove Station. The park is about an 11 minute walk from there. From Mattapan: Take the Mattapan Line to the Cedar Grove Station.